VIVA Gallery: Celebrating DAAF People's Choice and Member Theme "A River Runs Through It"
Celebrating DAAF People's Choice and Member Theme "A River Runs Through It"
Every year, VIVA Gallery takes a month to celebrate the talents of its members with a themed show. Within this year’s show, the work of members Ken and Michelle Workowski will be highlighted, as last September they again won The People’s Choice Award at the Driftless Area Art Festival. The People’s Choice Award is sponsored each year by VIVA Gallery, and members are thrilled that the Workowskis have earned this honor for the second year running. 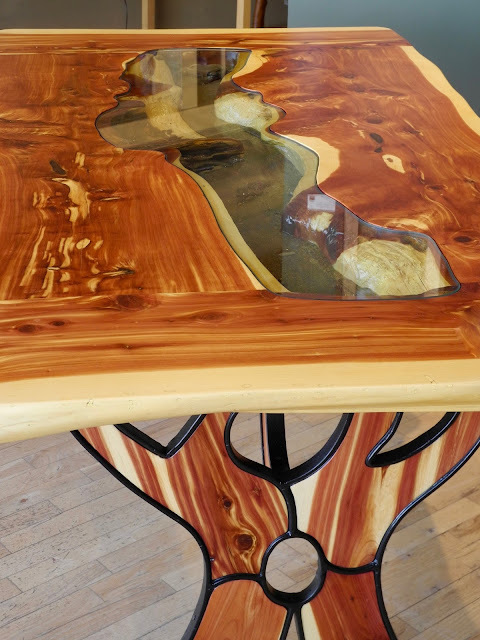 The member show theme is "A River Runs Through It”and its centerpiece is a dining room table of the same name beautifully crafted by Ken Workowski. The opening will occur on the gallery’s First Thursday event on February 1st..
Ken and Michelle live and work on 50 acres of land near Viola. 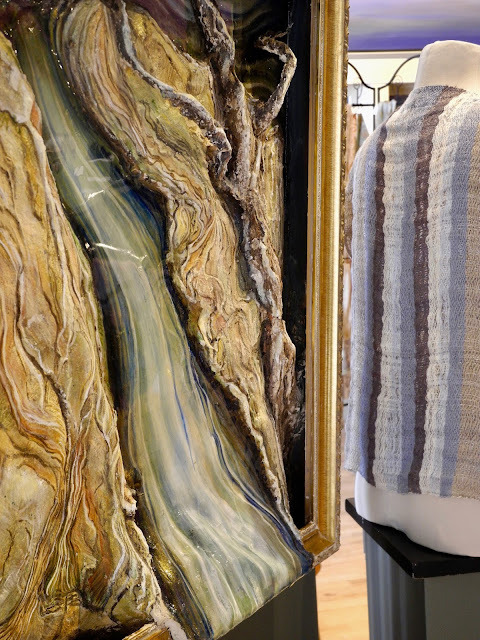 Together they have built a business— aptly called The Nature of Things—that uses materials from their land and that of others nearby. 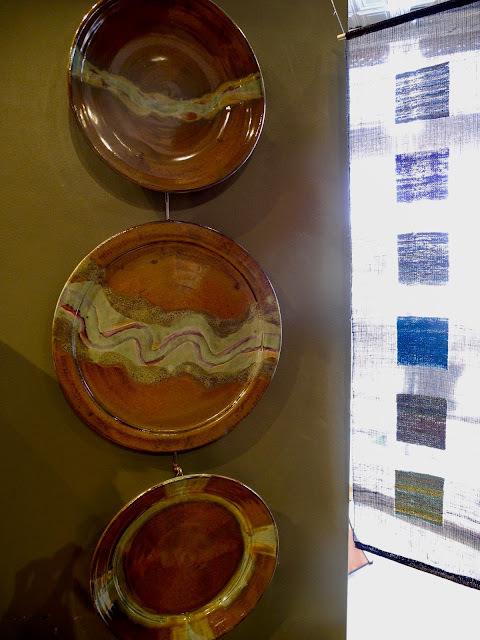 They transform these gifts of nature into exceptional home furnishings and furniture, including willow and wood chairs and tables, birchbark frames, poplar bark baskets, lamps and lamp shades. The lines and patterns of the wood guide their design, as in the case of the table called “A River Runs Through It.” The wood top is red cedar, salvaged by Ken while working on a grassland restoration project with the Mississippi Valley Conservancy. The cleared cedar logs came from Tunnelville Road just outside of Viola, and now because of Ken’s knowledge and talents, what was once invasive is now inviting. Ken collaborated with Nick Smolen, a metalwork artist from the Westby area, on the table’s base. Other VIVA member artists are following this theme, in paintings, glass, ceramics, wood, metal and fiber. To give you a taste of what will be on display, M’Lou Wilkie will present a new stained glass piece depicting a river from the Driftless landscape. 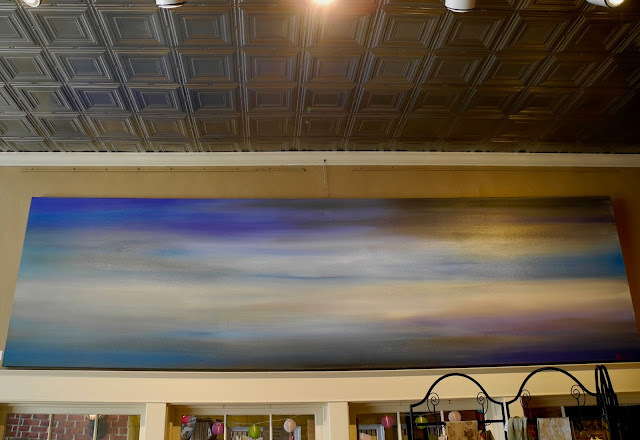 Pita Daniels will have a large contemporary acrylic painting representing the spirit of a river in bold contrasting colors. Liz Quebe’s oil painting is of the small “river” that runs through their land, water that also inspired Jerry Quebe’s cutting board of black walnut with sapwood accents curving down its center. Mark Herrling has created a hand-painted linocut called “River Town” inspired by the small towns along the banks of the Mississippi River, and Diane Dahl’s “As the Water Flows” is a mixed media bas relief of paper mache, clay and epoxy. These works and more by VIVA’s 21 member artists will be featured at VIVA’s First Thursday reception on February 1 from 5:00pm to 7:00pm and will be on display throughout the month. 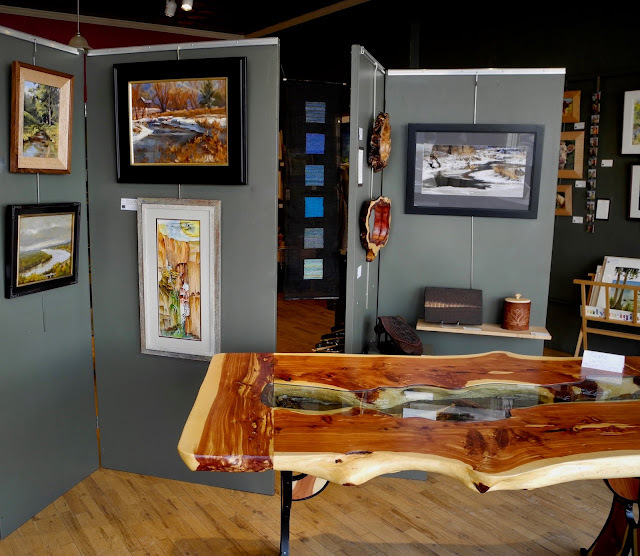 The gallery is located at 217 South Main Street in Viroqua.